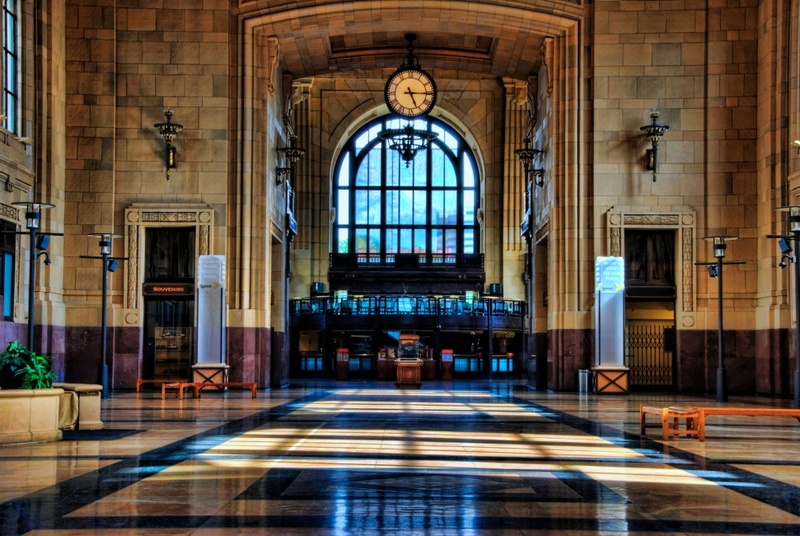 Another shot of the wonderful and awesome interior of Union Station in Kansas City. I wandered around (inside and out) for a few hours, snapping this and that and generally just enjoying the heck out of it! In this shot, I focused on that large clock which I just loved. KC did a wonderful job restoring this fine structure to its original glory. It was almost like being back in time - except of course for those Sprint signs. Thanks for stopping by!